Friday marks the last opportunity for public comment on New York state's proposed mute swan cull, a controversial measure meant to control the species, which is considered invasive and known for pushing some other native bird species out. The plan, which was drafted in December by the state's Department for Environmental Conservation, mandates the capture and killing of all of the state's mute swans -- approximately 2,200 birds -- by the year 2025. But some animal advocates, including state Senator Tony Avella, are trying to stop the cull, saying that it's a cruel way to deal with the swan overpopulation issue. "I was horrified to learn that our state wildlife agency would make such an extreme, unfounded proposal, and do not believe that the DEC has provided evidence to justify the elimination of these beautiful swans," Avella said this week. While many New Yorkers view the swans as a beautiful addition to the environment, the DEC argues that, in addition to being an invasive species, swans can bite people, decimate local vegetation and contaminate nearby waters. 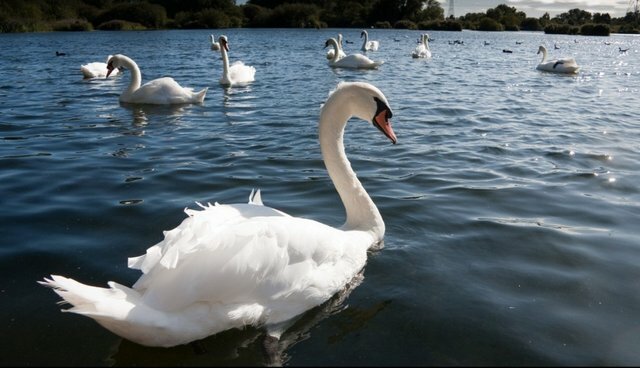 "Swan feces contain high levels of coliform bacteria so the presence of large flocks could impact waters used for drinking, swimming and shellfishing," the DEC report states. But in an op-ed in the New York Times this week, New School professor Hugh Raffles argues that these claims are based on "inconclusive science." Mute swans are defensive, not aggressive, their advocates say. If people carelessly encroach on their nests and young, they should expect to be unequivocally rebuffed. If the birds have an appetite for subaquatic vegetation, it may have local effects, but as they compose about half of 1 percent of New York's more than 400,000 waterfowl, the impact on the state's ecosystems is minor. And if, as the state claims but has difficulty demonstrating, mute swans really displace New York's native birds, there should be a debate about the criteria used to value one species over another. There is still some time today to submit comments on the draft mute swan plan to the NYSDEC Bureau of Wildlife, Swan Management Plan, 625 Broadway, Albany, NY 12233-4754 or by e-mail to: fwwildlf@gw.dec.state.ny.us.